A Myofascial massage is a hands-on technique that involves applying certain types of pressure to the Myofascial connective tissue. The right amount of pressure helps to relieve different types of pain. Pain that is most helped by a Myofascial massage is pain from trauma or even from surgical procedures. This type of massage is typically directly a hands only procedure, done without any help from oils or lotions. It’s important that a professional completes this massage since it’s done directly on the Myosfascial tissue. Elkhart Massage has certified massage therapists ready to come to you and complete a Myofascial massage for you. Give us a call today. Myofascial massage therapy with Elkhart Massage aims to treat skeletal muscles immobility and chronic pains in soft tissues. It helps to relax all the contractions that occur in the muscles by improving lymphatic and blood circulatory systems. Also it gives simulations to the stretch reflex in muscles, emphasis on eliminating muscular tightness and shortening as a result, restores motion. This massage therapy is ideal for the patients with little or no flexibility or function followed by an injury or ongoing back pain, shoulder, hip, and areas composed of soft tissues. Other conditions in which this massage is helpful include Temporal-Mandibular Joint (TMJ) disorder, migraine headaches, carpal tunnel syndrome or possibly fibromyalgia. Patients usually present with muscular tightness that restricts the movement, muscle pulls which disturbs the alignment of the body, muscle or joint exertion, pain in one or more parts of the body, including back pain and headaches. 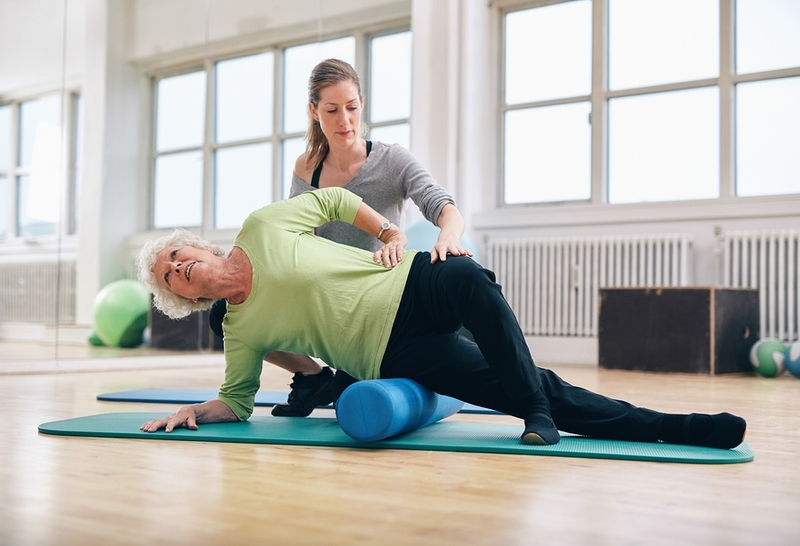 Myofascial pain has two main causes: first, the pain originates from the skeletal muscles or connective tissues by tight fiscal. This condition is called bound down of the tissues. Second, the pain may also originate from damaged myofascial tissues usually at a trigger point where the contractions of the fibers present in muscles occur. In either scenario, contractions or restriction hinders blood flow to the affected areas. It continues till the areas get proper treatment. Myofascial massage therapy with Elkhart Massage therapist enhances or assists other procedures to increase their efficiency and effectiveness such as physical therapy, manipulation, acupuncture, or occupational therapy. The therapy can also elevates skeletal and muscular alignment, or facilitate athletes to gain better alignment prior to big events such as sports competitions. Myofascial massage therapy with Elkhart Massage therapist is a safe and effective procedure that involves putting gentle sustained pressure on the body. This gentle pressure allows fascia to elongate. The massage lasts for 30-45 minutes optimally. The treatment session is done without the use of oil, creams or other greasy elements. Instead it’s directly done on the affected area enables therapist to detect accurately where ever the facial restrictions are. Special awareness is given to the patients at the end of the massage session educating them about body mechanics, movement and locomotion, strength enhancement, self treatment instructions, pain free motion, high flexibility and postural awareness. The one-on-one treatment gives patient a sense of care, relief and stress free feelings that helps to overcome the physical pain in less time.